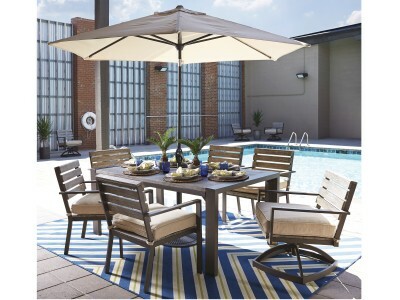 You're all set for dining under the stars or on a covered patio. 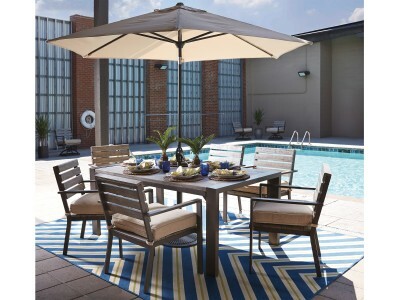 The Peachstone outdoor rectangular..
You're all set for dining under the stars or on a covered patio. 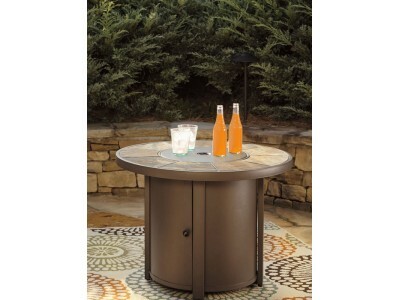 The Peachstone outdoor recta.. 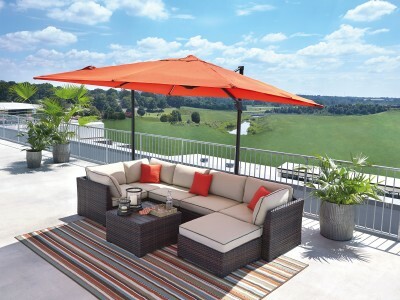 Kick back and relax under the stars. 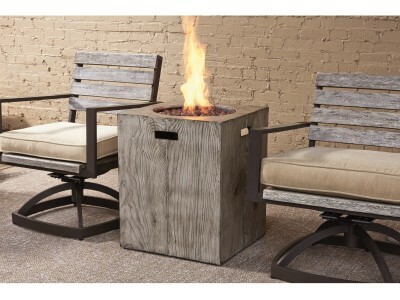 The Peachstone outdoor fire pit has the woodsy look you love .. 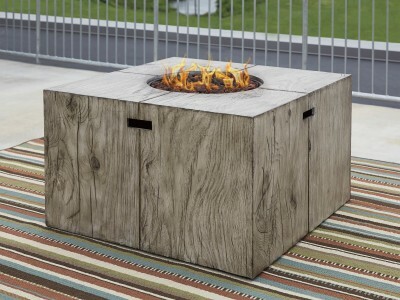 Enjoy the rustic warmth and enduring performance of the Peachstone outdoor fire table. 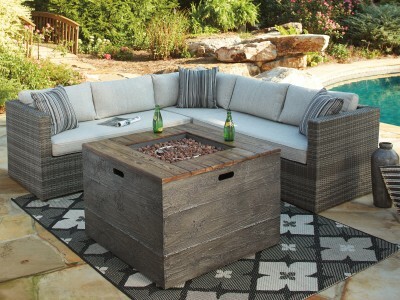 The square ..
Includes 3-Piece Sectional and Fire Pit Square TableDrift away in the deeply cushioned comfort of t..
Includes Sectional with OttomanDrift away in the deeply cushioned comfort of this outdoor sectional ..
On a patio or out on the lawn, the Predmore fire pit table makes the most of your open air comfort..
Swivel and rock as long as you like in the Predmore swivel rocker lounge chair. 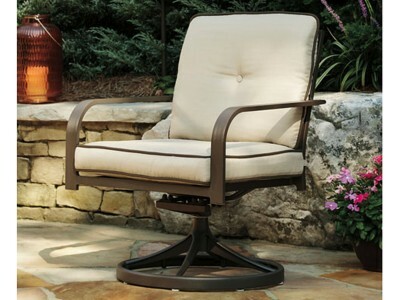 The outdoor chair .. 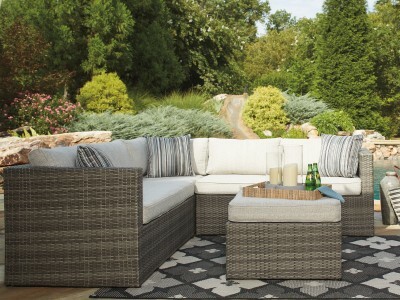 If you're seeking an oasis of comfort, look no further than this outdoor sectional set. 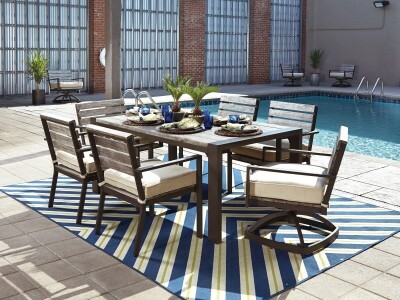 The all-we.. 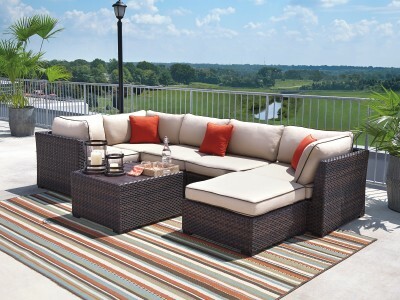 If you're seeking an oasis of comfort, look no further than this outdoor sectional set. The all-weat.. 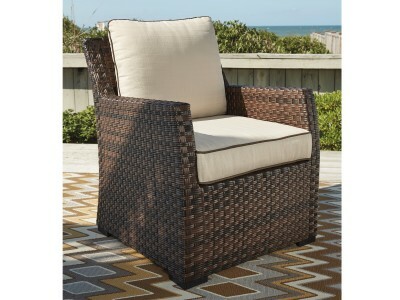 The deeply cushioned Salceda lounge chair has the smoothly woven wicker lines you love and indoor ..